It has been supernaturally cold in Maine this winter -- colder, for longer, than usual. And one February night just past full, this is what it looked like from the doorway in Troy, Maine. 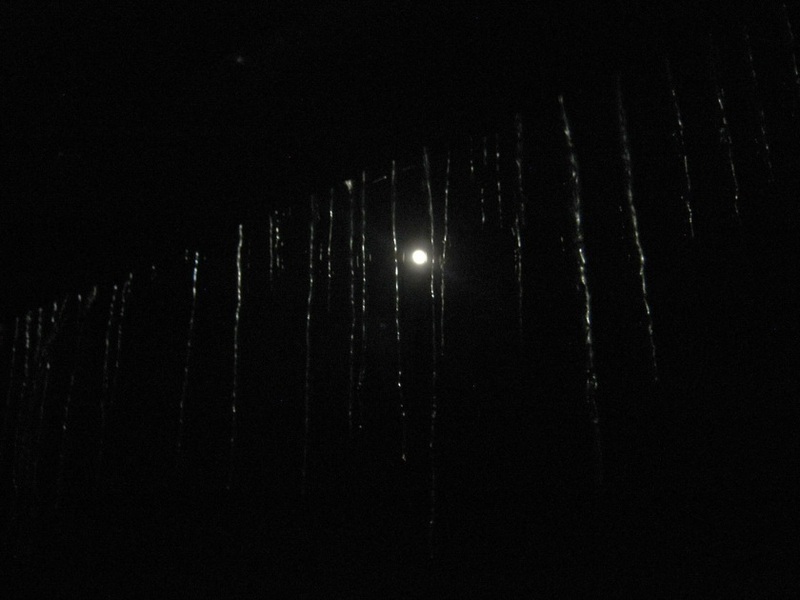 Quiet night, like Samuel Taylor Coleridge's -- "whether the eave-drops fall / Heard only in the trances of the blast, / Or if the secret ministry of frost / Shall hang them up in silent icicles, / Quietly shining to the quiet Moon."